Finding the best local roofing companies for your roofing needs can be tough. Especially if you’re unsure what to look for in local roofing contractors. There are just too many of them, so where do you start? Should I look for local roofing companies near me? Absolutely. There’s no point in looking for roofing companies in other states when there are able ones near you. Local roofing contractors offer more competitive prices since they have lower travel expenses. They will charge rates that are reasonable and common to your area. They will also understand the local climate and other factors that will affect your roofing needs. What should I look for in local roofing companies near me? There are three main things to look for in residential roofing contractors: credentials, insurance, and warranty. Ask the business details about their practice – How long have they been doing roof construction and repair? How many clients have they handled, what is their success percentage? Are they currently licensed? You can also ask around your neighborhood or local forums if they have heard of the particular local roofing contractor that you’re considering. Pay particular attention to the license – request a copy of their license to stay on the safe side. You also want local roofers with insurance that covers its employees. 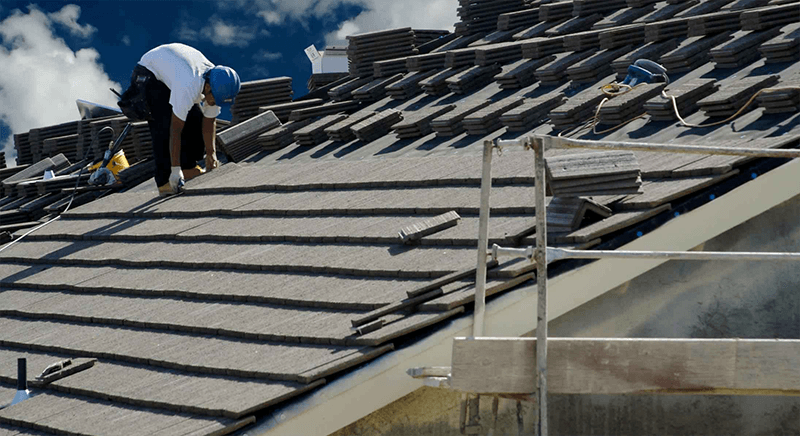 If a roofer sustains an injury while working on your roof, there can be litigation which has forced some homeowners in the past to pay for damages. To avoid this, confirm if the roofing company covers its roofers with comprehensive insurance, and discuss this matter with the business representative. Ask for a copy of their insurance certificate and go one step further by confirming this with the insurance company. Lastly, you would want to see about a warranty for your roof. Damages on a roof might not show up until after a few months or years. You need to secure a warranty that will cover repair expenses. Especially if the damage is proven to be caused by improper installation by the residential roofing contractors. What tips can you give me to handle the roofing installation properly? When you’ve found the perfect fit for you, the first thing you would want to do is to ask for a written contract. This agreement should contain the terms and conditions of the roofing project from insurance to warranty. It should spell out the costs that you’ll cover and what will happen in cases of conflicts like onsite injuries. Don’t pay the full payment upfront especially for big projects. If you make a full payment, it will be harder for you to recover your money in case something goes wrong. It’s also better to pay via credit card since it will be easier to reclaim money that way. Throughout the process of looking for local roofers to closing an agreement with them. You’ll need to make sure that you have an easy way out if the roofing company does not hold up to its promises. Cover all bases to avoid headaches and prevent any roofing repairs in the future.